A few weeks ago, the Scotch Whisky Association were trumpeting how whisky tourism is on the up and up in Scotland. Many people will be delighted to hear it and I just hope it will inspire more distilleries to open their doors to the public. There is increasing fascination with how certain drinks — be they wines, beers, spirits or anything else — are produced. And a hearty welcome, good tour and warming dram at the end of the distillery tour all leave a good impression that sends visitors away happy and may bring them back again a year or more down the line, possibly with a few friends. What is more, the mashtuns, washbacks and, above all, the resplendent copper stills never fail to impress visitors, as do the cool, silent warehouses with their dark casks and walls where the spirit sleeps for all those years with little other company but the angels sneaking in for their share. Last year, nearly two million tourists visited Scottish whisky distilleries, spending on average around £32 a head per visit. They came mainly from Germany and the US, followed by visitors from Asia — China, Japan and India, all significant growth markets for Scotch. 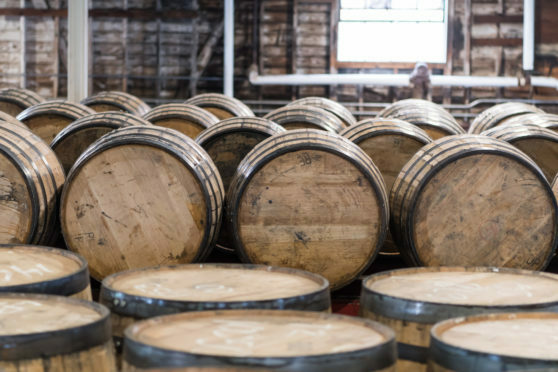 Distilleries have responded by improving facilities and offering a wider choice of tours—from basic, with one dram, to specials with four drams and sometimes a choice of chocolates as well. Some distilleries are so popular, Glenfiddich for instance, that at the height of the season one can only go on pre-booked tours — come in off the road and you’ll be told you’ll have to wait until the next day. I must confess I have my own favourite distilleries, based on my experience of facilities, staff friendliness and helpfulness — and value-for-money. It may be that many other distilleries can match those on my list on all counts, but I have yet to visit them. With that caveat, my Top Ten are Glenfarclas, Benromach, Glen Ord, Glenmorangie, Auchentoshan, Strathisla, Ben Nevis, Glenkinchie, Bowmore and Ardbeg. A few other distilleries almost made it onto that list and may well make it in the future. May I again urge those distilleries still swithering on whether to open a visitor centre or not to go for it. Carpe diem.